The College of Southern Idaho Foundation Inc. believes that higher education is the key to building prosperous, sustainable and civil communities, and that every person should have access to it. 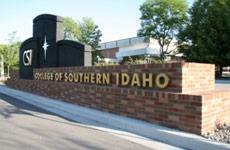 The College of Southern Idaho Foundation was founded in 1984 with one purpose: to provide scholarship and program support for the students at the College of Southern Idaho. Since that time the CSI Foundation has grown to become one of the nation’s top 30 community college foundations. Since inception, the Foundation has awarded $20,592,909 in scholarships and an additional $16,903,220 in program and project support to CSI. This is due to generous community donors and fiscally responsible management. As stated above the CSI Foundation wants to make sure that every student has access to scholarship funds. Our goal over the next few years is to increase awarding from 43% of the CSI Student population (excluding Dual Credit enrollment) to 50% or more. To meet this goal we need your help. We not only need to continue to get generous donations, but also need to spread the word that every CSI Student should apply for scholarships before March 1. 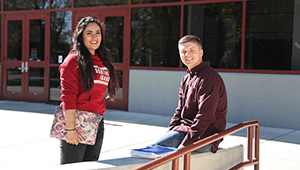 A student must be admitted to the college and have access to the MyCSI portal in order to apply. After that, applying is a quick and easy process. Our board consists of volunteers from Southern Idaho communities. Check out the Board of Directors page to see if there is anyone you know! We appreciate our board and the hard work they do to make sure the Foundation sees annual growth in assets and scholarship awarding. They have been charged to “protect and grow” the Foundation for the years to come. If you or someone you know would like to get involved either by donating, reaching out to students or volunteering your time please do not hesitate to contact us. We are here to act as a bridge between the community and the students so we can help our CSI Golden Eagle students soar!